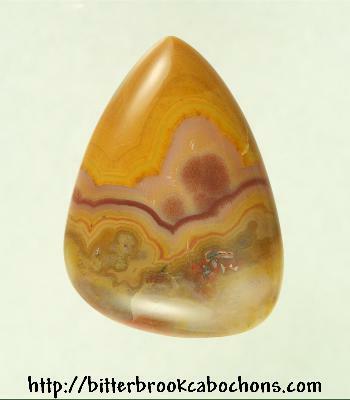 This freeform cut Kentucky Agate cabochon has brighter coloring than normal, and very little of the fracturing this material is infamous for. It was cut from the same slab as this one. 39mm x 28mm x 7.5mm. Weight: 53.95 carats.